1Hope International | Journey with us as we follow Christ to South Africa. 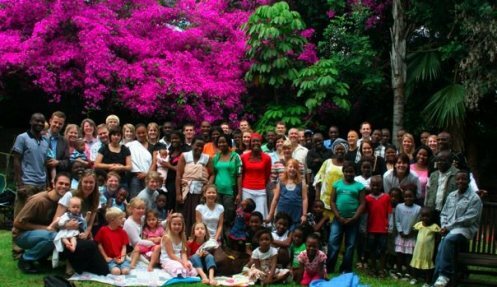 We are so excited to be a part of this church body and serve alongside them when we arrive in Pretoria! This video will give you an introduction behind the heart of 1Hope and why we feel so blessed to serve alongside them. By God’s grace and miraculous provision, the baby home was purchased in the fall of 2011 and the main task of Randy’s team in February was to complete renovations on the Muphamuzi Baby Home! The team was richly blessed to be present for the Opening Day of MBH, February 11, 2012.